Spinach Pulao is very inviting and delicious !! 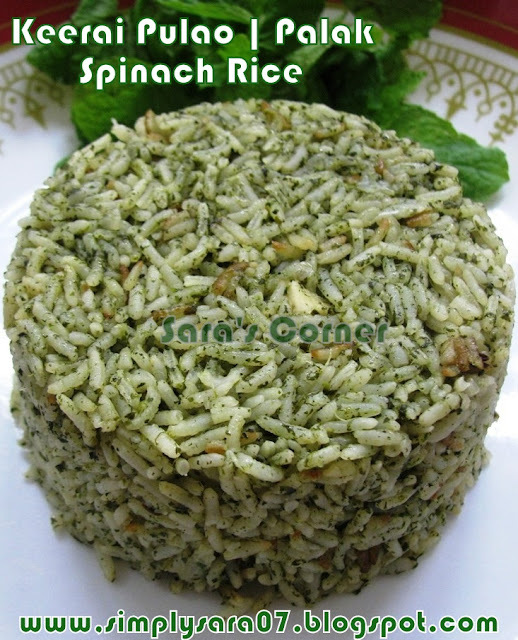 Healthy and neat recipe with deliciously yumm and click as well.Luv it dear. 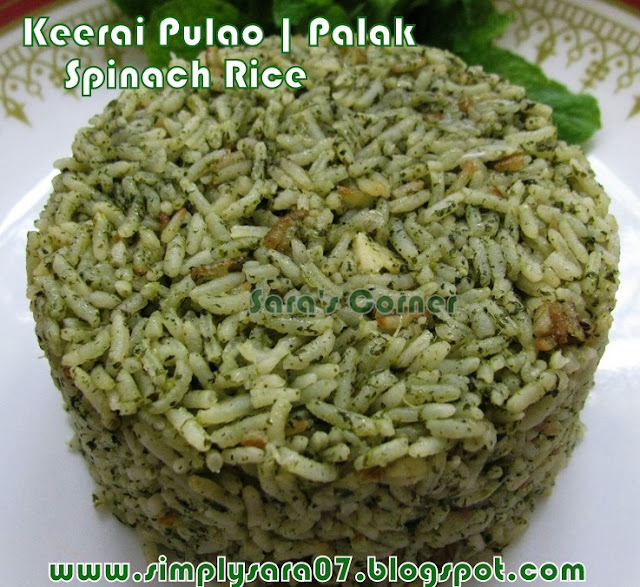 healthy rice...never tried this pulao!! Nice recipe using spinach :) Puloa sounds really nice..
My favorite kind of one-pot meal! Yum, that looks delicious and healthy too. Dear Saras...thats nice to hear that you have the same birthday as mine...belated birthday wishes to you dear! Lovely and healthy pulao ...yummy!